I was given a craft store gift card for my birthday and it came in a tin box which I thought would make a cute craft emergency kit. You know, for those times when I feel like I should be carrying a glue gun in my purse…this happens more than you think. So let’s make one! My tin box is about 5″ x 3 1/4″ x 3/4″. You can also use an Altoids tin or other sturdy box, just as long as all your desired supplies fit. 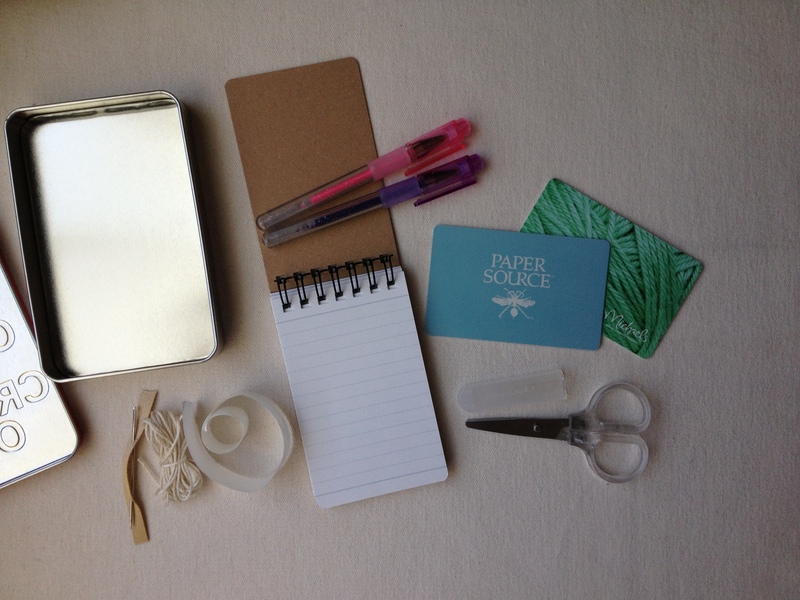 Here are my essentials for a crafty-mergency kit. I found mini glittery gel pens at the local Japanese knick-knack store. I chose glue dots which are super strong and great for all types of materials. Regular tape is also a good idea, especially since glue dots are more permanent. You can fill your kit with assorted paper colors, textures, and sizes, but I chose a mini notebook with lined paper. It’s simple & versatile! Mini scissors are not my ideal cutting instrument, but when in a moment of craft emergency these will do! The ones I found were actually pretty good, too. 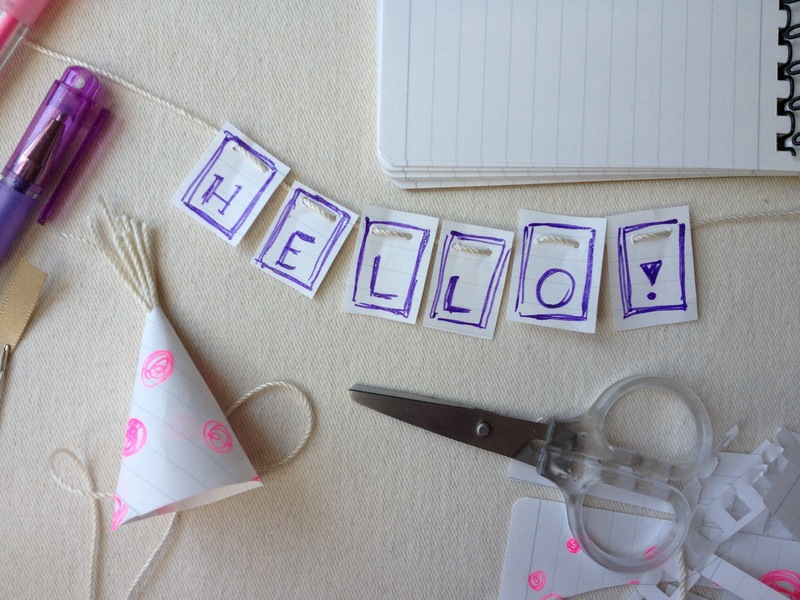 Floss works perfectly and I have found myself in a few craft emergencies using floss. It’s strong and minty fresh. This time around I chose six feet of cording. Make sure the eye is big enough to fit your string. You can also leave some crafty store gift cards in here for craft AND shopping emergencies. 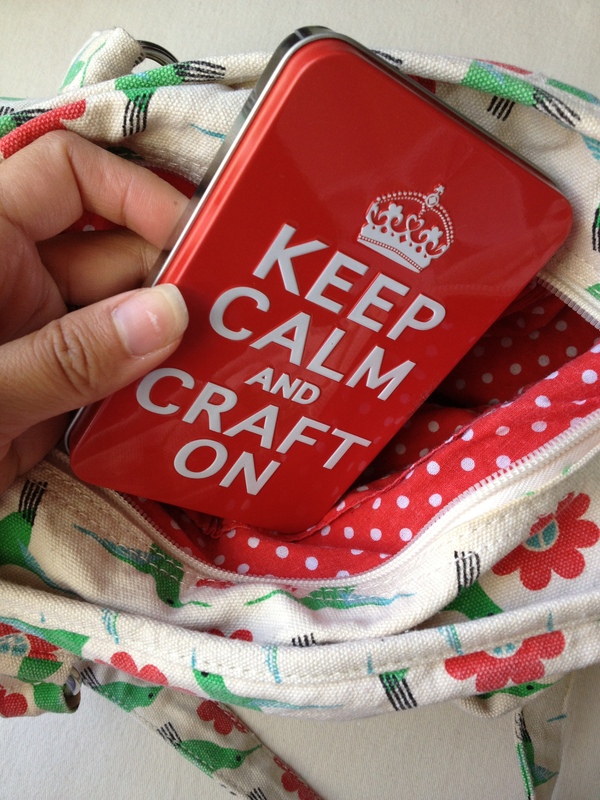 Drop your kit in your bag and you’re ready to take on any craft emergency! And just to prove that you can save the day with crafts, here’s a sample of what you can make with the items found in my kit. 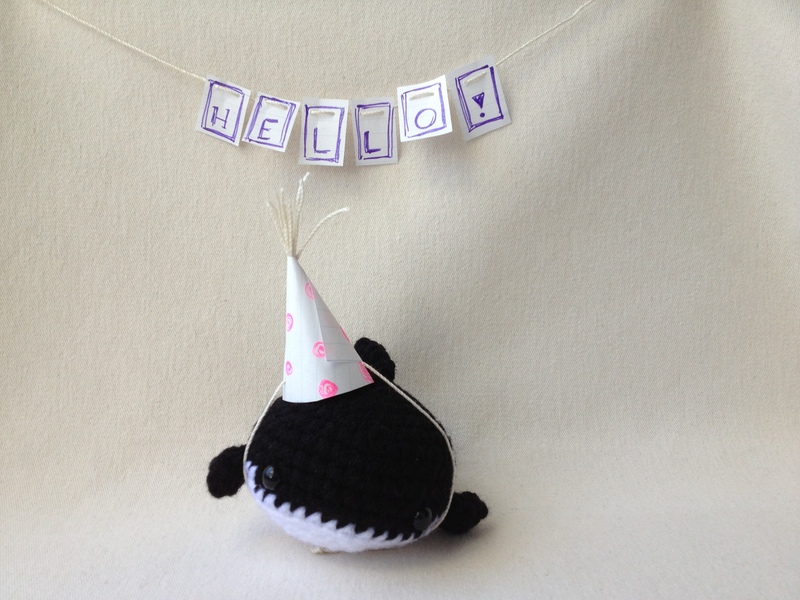 Mini banner and party hat to the rescue if you, for example, just found out some great news and you want to have an instant party wherever you are. You can also fold origami notes and leave them for people to find. Need to pass along your phone number but you forgot your business cards at home? Do it in fancy craft style. 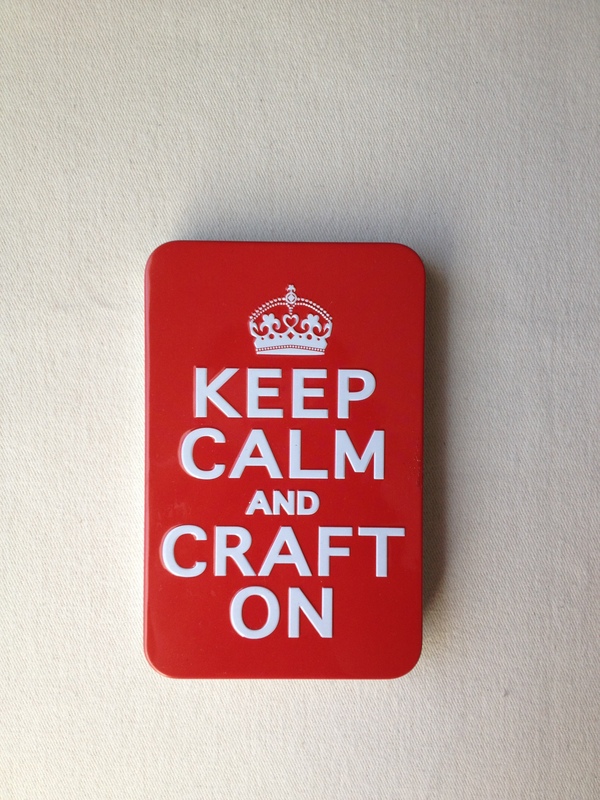 What would you include in your craft emergency kit and what would you make with it? Share below.